Heady with power, colors swirling in shadow… unlock the ancient mysteries with exotic notes of sandalwood, vetivert, bergamot and jasmine. Swirls of passionate red, royal gold and deepest black flood Sorcery soap with powerful mystical energy. 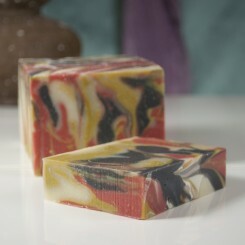 Wild Women Soaps’ Sorcery is scented with an alchemist’s masculine blend of sandalwood, vetivert, bergamot and jasmine. 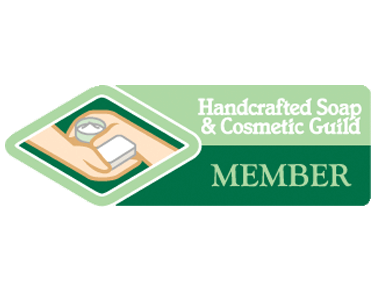 Formulated with pure skin-conditioning plant oils, Sorcery soap asks one question: What are you conjuring today?